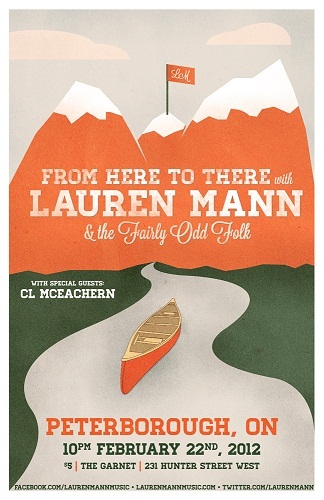 Indie-folk band, Lauren Mann and the Fairly Odd Folk are currently on the Ontario leg of their North American tour. For Peterborough, ON locals the band is performing in town this Wednesday night, Feb 22. You can see them at The Garnet, 231 Hunter St. W. Tickets are a bargain at only $5. Show starts at 10 PM. Prior to that they will be joining me in the studio at Trent Radio, 92.7 FM between 9 and 10 for a live interview on The Antidote.